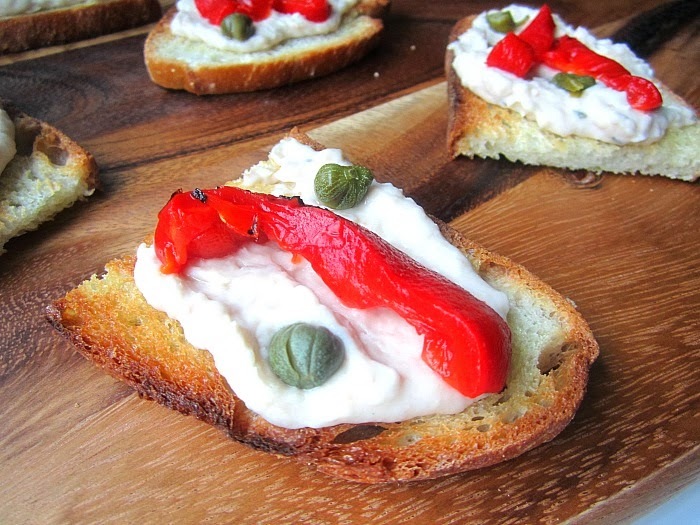 I haven't made a crostini recipe in a while, because I haven't had any dinner guests in a while! This is a good winter one, and doesn't require company to help you eat them. I whipped up a quick bean spread with a can of Northern white beans and some other pantry staples and a delicious crostini was born. The next day I used the bean spread for tuna sandwiches with capers and the peppers, and it was delish. Whiz the first 6 ingredients in a mini food processor until pureed. Drizzle olive oil on some good slices of ciabatta bread and toast up nice and crisp. Rub a cut garlic clove on each piece of toast so the garlic oil is released. This is key. 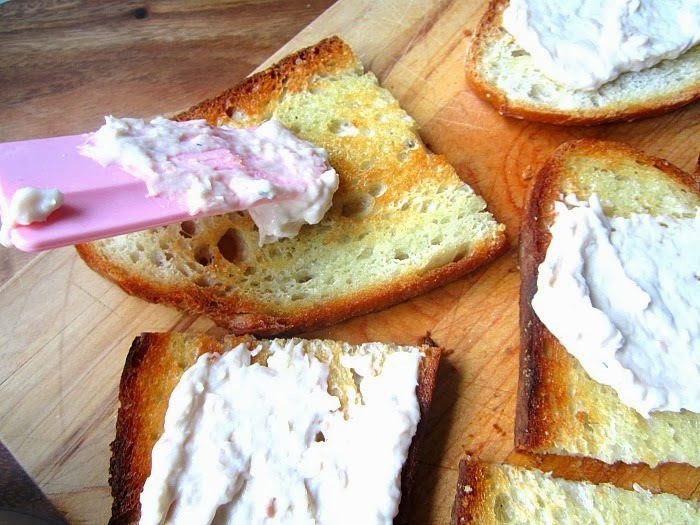 Spread some of that yummy bean spread on each warm toast. Top with a slice of roasted red pepper (you had better know how to roast a pepper by now, you've been reading this blog for 6 years.......ok, you can use one from a jar). Garnish with some nice, big fat juicy capers and serve. That is so yummy!! Just made some for my breakfast! Thanks, Stacy! 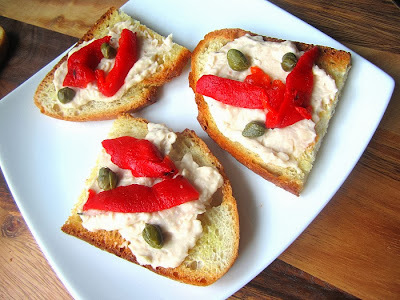 I miss your crostini and tart posts.............going to try this for Friday night happy hour tomorrow! 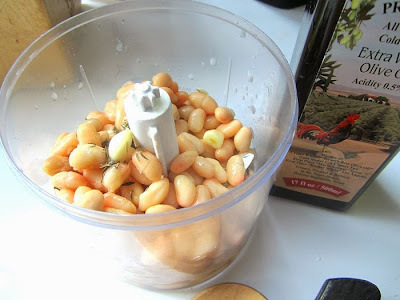 Great idea to combine the roasted peppers with the beans. I'm actually having my new neighbors over tomorrow night & can't wait to make this. I have and love all the ingredients and this will be simple yet elegant to make. Thanks for the idea!